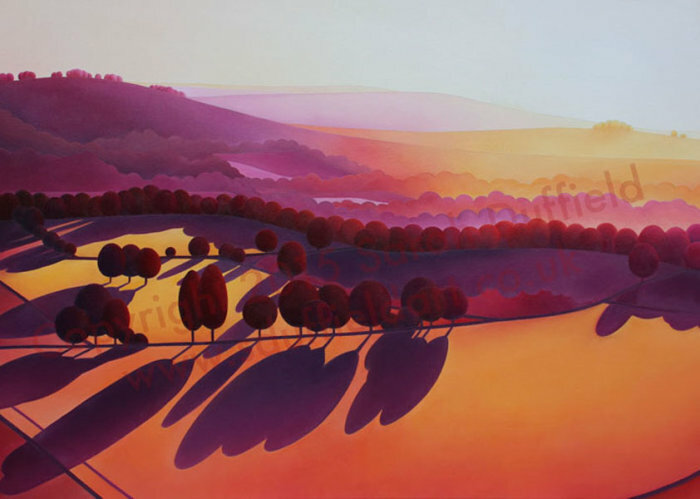 "The Gloaming" is a beautiful painting of the South Downs viewed from Cissbury Ring. The colours and title describe that fleeting time of day when the sun touches down and the world glows. This original painting has now sold. Commissions are available. 50 x 36 cm including border. Limited Edition of ten - This print is no longer available. Medium prints 8x12 inch mounted to fit a 12x16 inch frame are available on request.